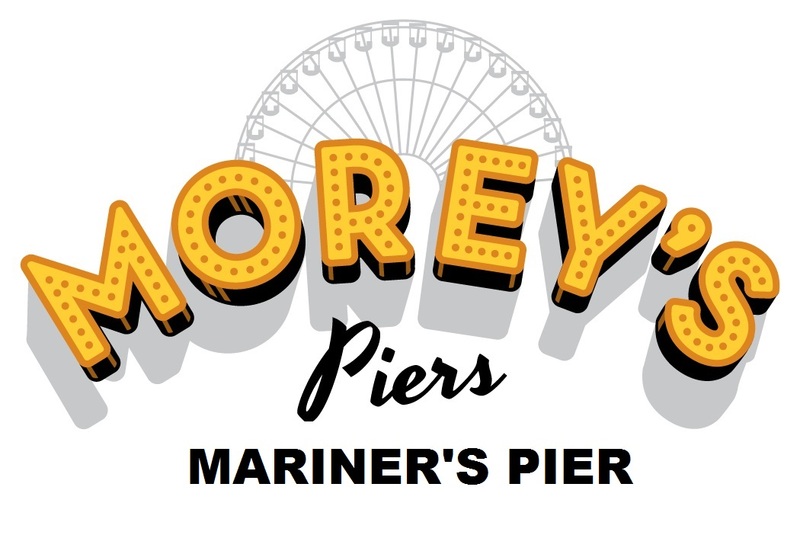 This is the "middle" pier of rides at Morey's Pier. The Pirates of Wildwood - this is a boat ride through scenes that feature 3D elements. Ghost Ship is a walk-through haunted attraction. I personally thought it was well done. While the screamsters were not great, the triggered special effects got some good jumps out of the group I was in. I especially liked the air blast finale. Lots of tight turns and small hills make up this coaster. The main attraction on this pier is Sea Serpent. The serpent keeps a watchful eye over the crowds as the train gets pulled up the spike. The boomerang element is directly over the teacups attraction. One last glance at the pier.